This week I'm thrilled to be sharing one of my all-time favorite brands for gorgeous home decor, Sugarboo Designs. Based out of Atlanta, GA, Sugarboo Designs was founded by artist Rebecca Puig and her husband, Rick, in 2005. 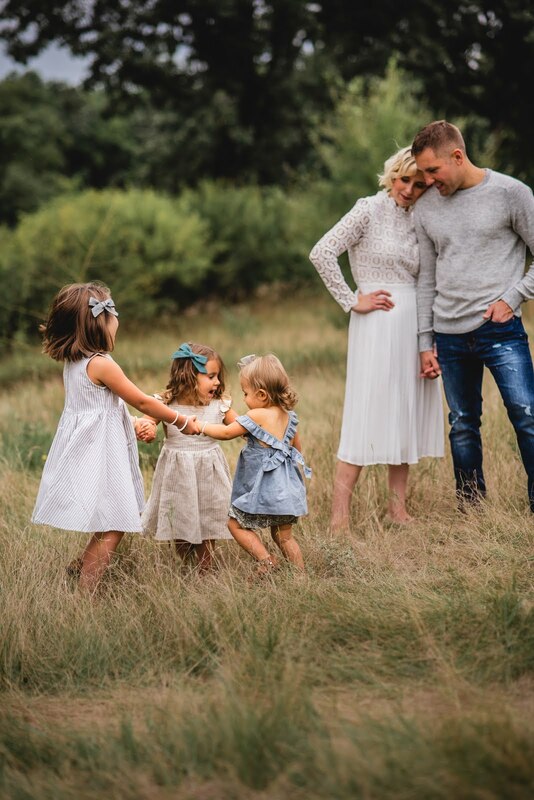 Rick and Rebecca are parents to Jake and Sophie, who serve as the inspiration behind many of their pieces as well as the source from which the name "Sugarboo" was chosen, in reference to the nicknames they have for their children. 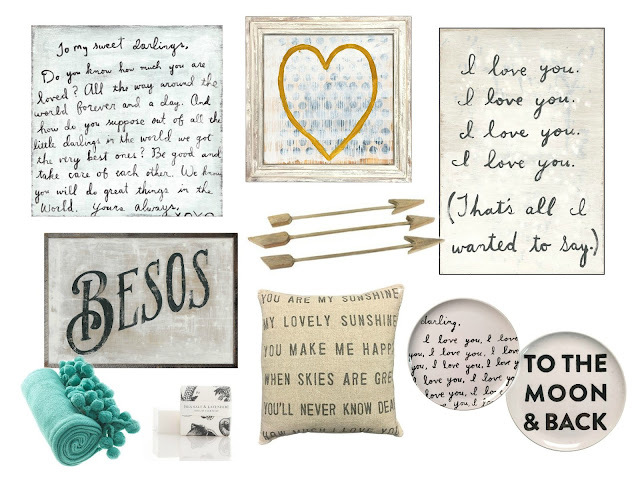 I absolutely love every single piece from Sugarboo Designs, I don't think I could ever choose a favorite. They all have the perfect mix of rustic sentimentality but are versatile to fit in any space for any style. 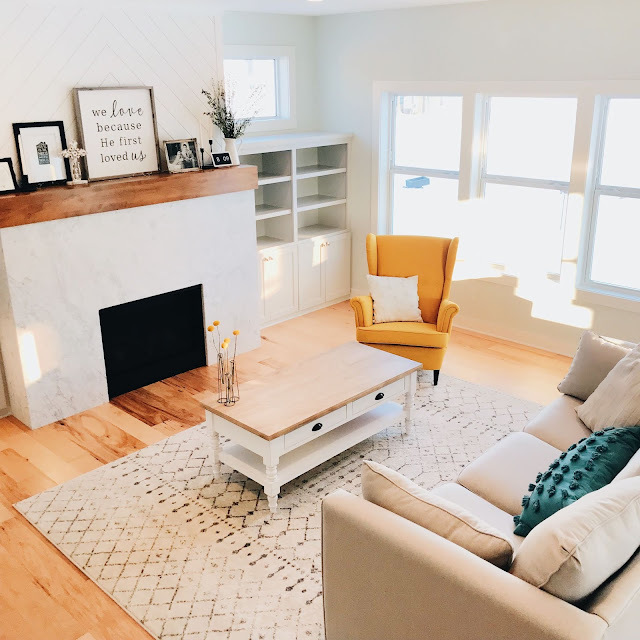 Sugarboo Designs is most well known for their wood signs and coordinating pillows, but they offer a wide range of home decor pieces as well, including wood decor, candles, picture frames, furniture, blankets and more. Many of their signs include their classic cursive script font and often involve repeating words or phrases. 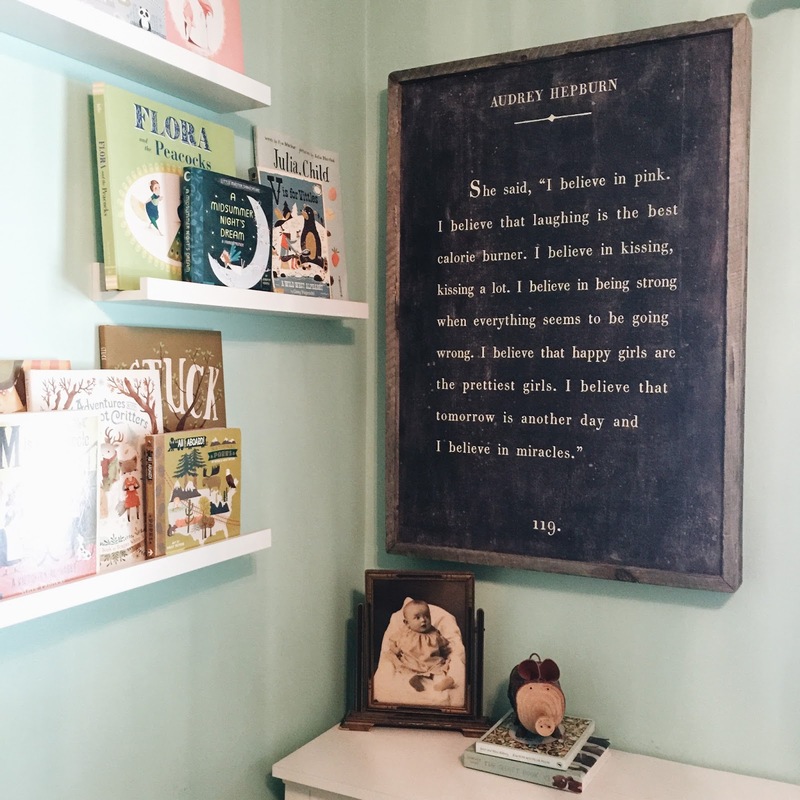 Sugarboo signs make the perfect addition to a child's room or nursery, master bedroom or family room, especially with how touching and heart-warming they are. They create so much warmth and comfort in any space. One of their most recognized collections is the book series, which consists of wood signs ranging in size from 17"x25" to 3'x4' that are designed to look like book pages with famous lines or quotes on them. They also have a beautiful coordinating poetry series. 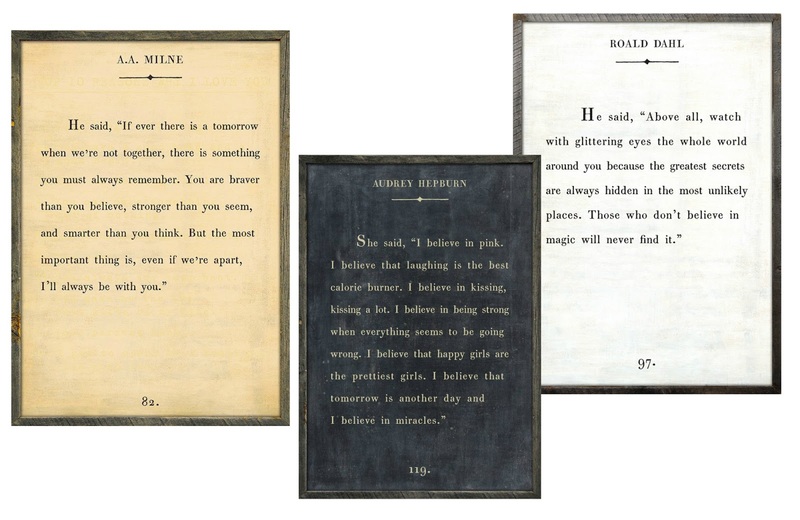 With over 30 different quotes and poems to choose from, each piece is available in cream, charcoal and white and all are incredibly stunning as a focal point in any room. We have the 2'x3' Audrey Hepburn one hanging in Olivia's bedroom, which will eventually become the room her and Poppy share. Olivia has been asking to share a room with her baby sister for several months now and as soon as I saw it I knew it would be the perfect piece to hang up for my little girls. Hanging it in her book corner seemed like the perfect spot for it, and I love that it is the very first thing you see when you walk into the room and that it makes such a statement. My hope it that it serves as a special reminder to our girls as they grow up and that it plays a part in teaching them about what really matters...about what happiness truly is and always taking time to laugh, cultivating beauty on the inside through their joy, attitudes and perspective and remembering that each day is a fresh start with limitless potential. 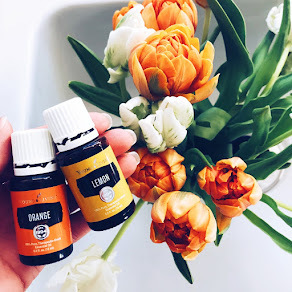 Because we love Sugarboo Designs so much, I've partnered with them to offer an exclusive discount for my readers to save each of you 15% off your total purchase from Sugarbooandco.com; simply enter NEST15 at checkout for the discount to be applied. This savings is valid from Wednesday July 20 through Wednesday August 3, 2016. And to sweeten your week, I've teamed up with Sugarboo Designs to give away a $100 SHOP CREDIT to one lucky winner to apply toward your own favorite pieces in their shop! To enter, visit my instagram @blessednestblog and find the original post with details. The giveaway will run one week and the winner will be announced there. Hope you're having the best Wednesday! Our kitchen cabinets are being installed as we speak so we are all extra happy campers over here! Thanks for this post! I love Sugarboo!!! These signs are beautiful! 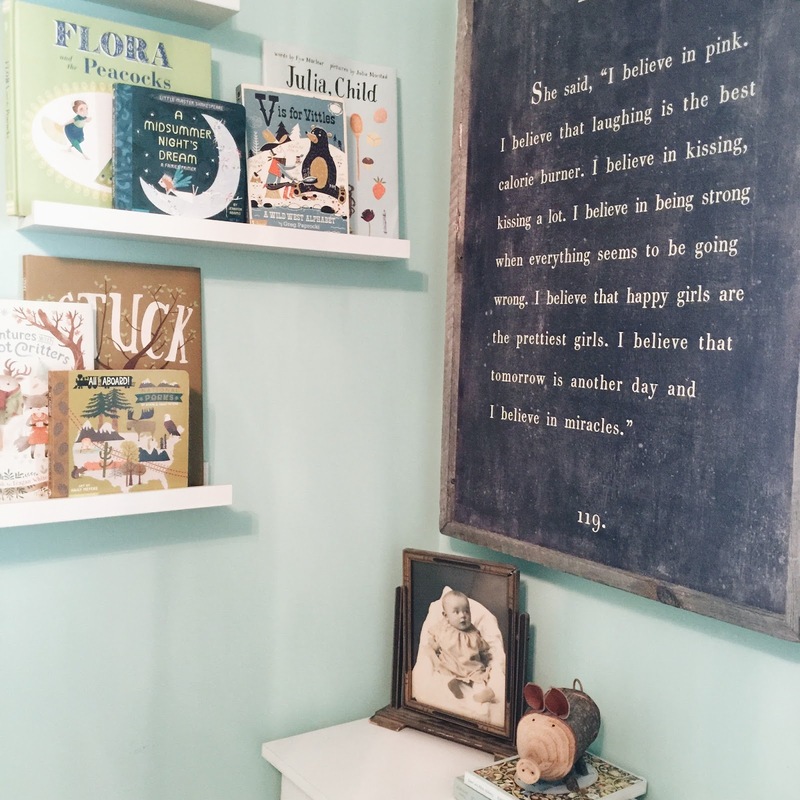 We love reading books in our house and would love this in the girls playroom!! !